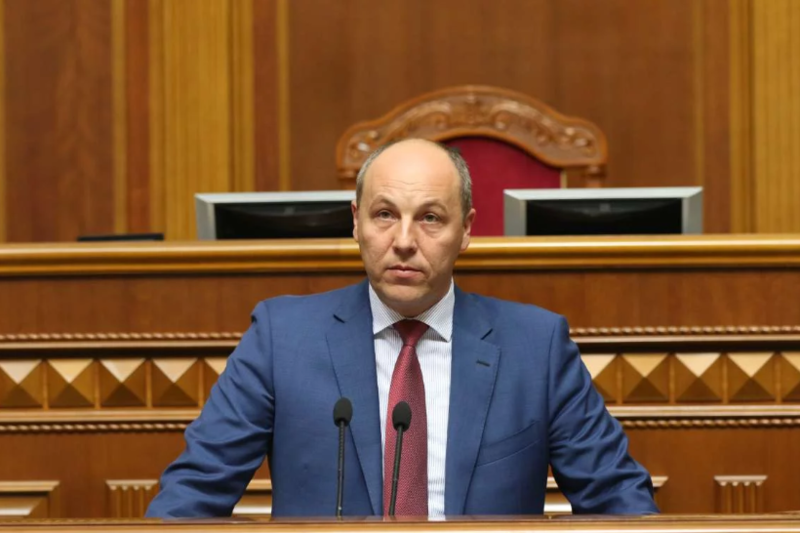 Andriy Parubiy, the Spokesperson of Ukraine’s Parliament, defined main tasks of the Verkhovna Rada at the 9th session. He delivered them from the rostrum of the Parliament, 112 Ukraine broadcasted it. The Parliament has to prolong the reform of the defence sector. The law on national security was adopted and now the Parliament should adopt its derivatives. “I support the offer to enshrine the Euro-Atlantic direction in the Constitution…I am convinced that this is significant. Because I remember when in 2010 all the mentions about NATO were excluded from the law on basis of the internal and external policy in several minutes in this hall. We cannot allow our Euro-Atlantic direction be revised by anyone,” Andriy Parubiy stated. The Spokesperson supported the idea to “preserve a tradition introduced last year” – it means that the budget shouldn’t be adopted on the New Year Eve. “Next block is electoral. We are entering an electoral year and we have to reform the electoral legislation. I believe, that the Verkhovna Rada should start considering the Electoral Code no later than October. It systemizes a number of laws – the law on elections to the Verkhovna Rada, the law on local elections and the law on Central Electoral Commission,” Parubiy noted. “The decision of the Central Electoral Commission as of August 9 on cancellation of the elections to the territorial communities was a wake-up call. And it meant that we cannot put this issue aside. I think that in the nearest future we could find a common ground and, passing all the procedures, we will renew the composition of the Central Electoral Commission,” Parubiy said. “We have more than 50 laws, 21 of which are being considered. It’s rather symbolic that the first week of the 9th session we begin with the laws which are included in the strategic plan on the European integration,” the Spokesperson said. “You remember our top-35 mutual set of bills on economy, the part of which we considered during the previous session. We have to define the prerogatives and with the help of the committees and the Government continue working on this plan,” Parubiy noted. “It is quite important to consider the bill on the state language at this session. It’s our duty to adopt a law on language in a democratic atmosphere, atmosphere of discussions. These issues are fundamental for the life of the nation and state,” the Spokesperson said. “The bills on the number of committees, on their distribution according to D'Hondt’s method. I will remind you that we didn’t finalize the question of the Temporary Special Commission. Additionally, I will recommend to regulate the system and the procedure of bills’ registration to stop a legislative spam which unfortunately exists in Ukraine’s Verkhovna Rada,” the Spokesperson said. According to Parubiy, the Constitutional Court adopted a conclusion; the Committee expressed its position; two bills were sent to the Parliament. It’s time for the people’s deputies to decide.